For the first time, scientists discovered a new ebola virus species in a host prior to detection in an infected human or sick animal. The discovery of the Bombali virus in bats in Sierra Leone and the sequencing of the complete genome was officially published today in the journal Nature Microbiology. The Sierra Leone government announced preliminary findings in late July. 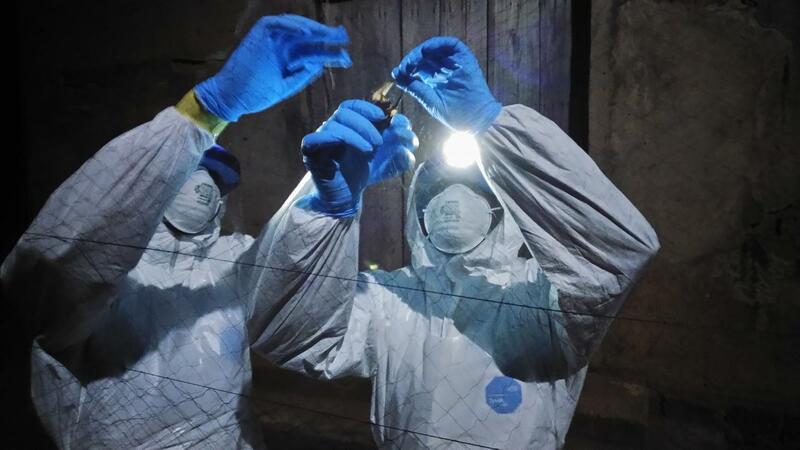 The discovery was made by scientists at the University of California Davis’ One Health Institute and Columbia University’s Center for Infection and Immunity, working with the government of Sierra Leone and the University of Makeni and Metabiota. The work is part of the PREDICT Ebola Host Project, funded by the United States Agency for International Development. The discovery illustrates the mission of USAID’s PREDICT project, which aims to find viruses before they spillover into humans. The Bombali virus has the potential to infect human cells, but it is unknown if the virus has already caused human infections or if it is harmful to humans. Prior to the discovery of Bombali virus, five ebolavirus species had been described. For instance, Bombali virus is different from the Zaire ebolavirus, which killed thousands of people between 2013-2016. Despite more than 40 years of research, the reservoir hosts for these viruses is still unknown. But the discovery of Bombali virus adds to growing evidence that bats are the likely hosts of these viruses. The PREDICT team sampled more than 6,000 animals in Sierra Leone and performed laboratory tests to look for both known and unknown ebolaviruses. Bombali virus was found in five individual bats belonging to two different species of insectivorous bats that were found roosting inside people’s houses. The researchers emphasize that people should not attempt to kill or eradicate bats in response to the discovery. In fact, killing bats can actually increase the risk of virus transmission, not halt it. Bats also play important ecological and agricultural roles for pollination. Insectivorous bats eat thousands of insects each night, helping to control pests that can transmit disease and damage crops. Researchers have been engaging with local communities throughout the project. They continue to share results, answer questions and discuss with communities how they can live safely with bats and reduce their risk of exposure to the virus. Infected bats are not known to show signs of illness but can shed the virus in their saliva and feces. As a result, other animals and people may be exposed if they touch live or dead bats, ingest food or water on which bats have fed or if they come into contact with the urine or feces of infected bats. Funding was provided by the United States Agency for International Development (USAID) Emerging Pandemic Threats PREDICT project and by the National Institutes of Health.